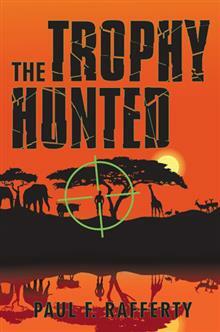 Jack is a husband, father, and chiropractor from Wisconsin who, every year, travels to Africa to satisfy his thirst for killing as a trophy hunter, even though his wife does not approve of his habit. However, the tables are turned when Jack is drugged and whisked away to a secret ranch where he finds himself with two other trophy hunters who've met the same fate. To his horror, Jack learns that he and his new friends are now the hunted. Weaponless and without food or water, they must pit themselves against skilled bow hunters who pursue them as if they were no more valuable than the animals they themselves had killed. The three struggle to outwit their killers and run for their lives. The ordeal forces Jack to question his passion for killing animals just for the sake of sport. Separated from his family, and with his life hanging in the balance, he begins to see himself as no less of a monster than the men who now seek to murder him for sport. Gutted by guilt, he desperately tries to escape so that he can return to his family and make things right. Will Jack be able to escape his captors alive, and if so, will his life ever be the same again? Paul F. Rafferty is a lawyer and writer. Impacted by the death of Cecil the lion, Paul decided to write a fictional suspense thriller where the tables are turned on trophy hunters. Married to his wife of 25 years, Wendy, and with two awesome children, Paul lives in southern California. Paul is giving away a $25 Gift Card!